"The Henry London story began with two young, successful fashion designers exploring London’s many vintage districts searching for inspiration. 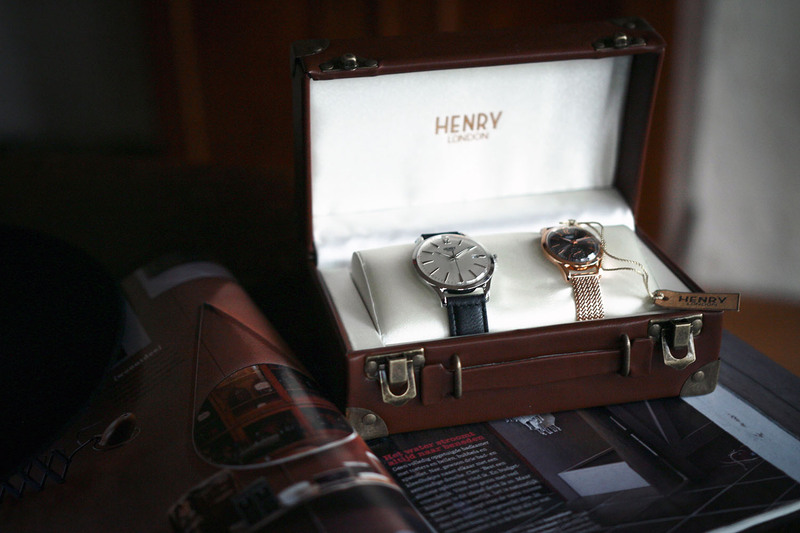 On one such visit to the famous Portobello Road street market in London’s Notting Hill, one of them came across an old, beautifully styled, classic Swiss wristwatch which had the words ‘Henry, August 1965’ enigmatically engraved on the case back. 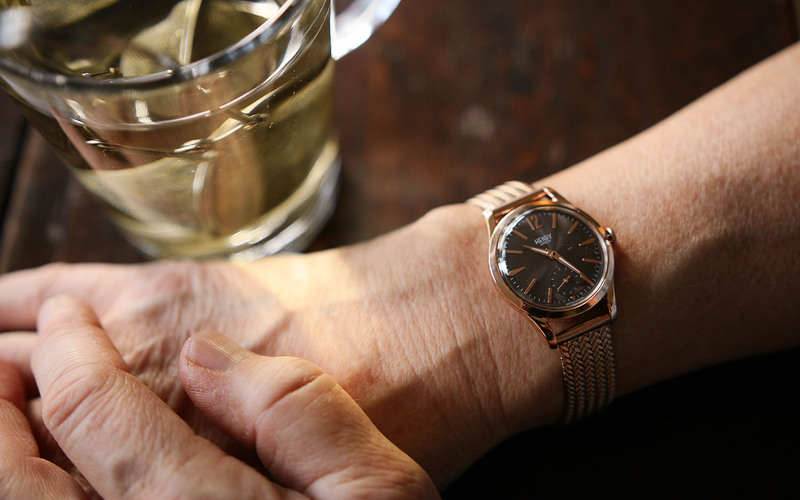 Although suffering the ravages of time, the watch still typified the craftsmanship and quality of a bygone age. She just had to wear it." 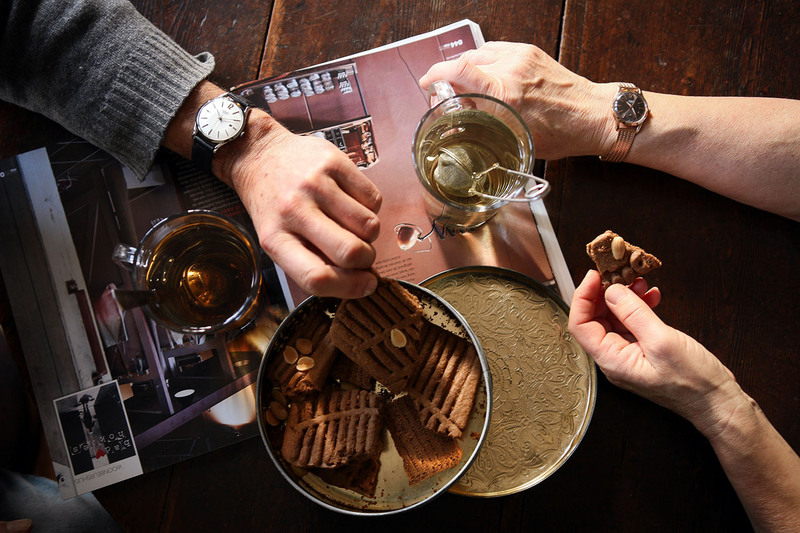 Like you can see in the picture above, the both watches came in a lovely little box, a great giftbox. 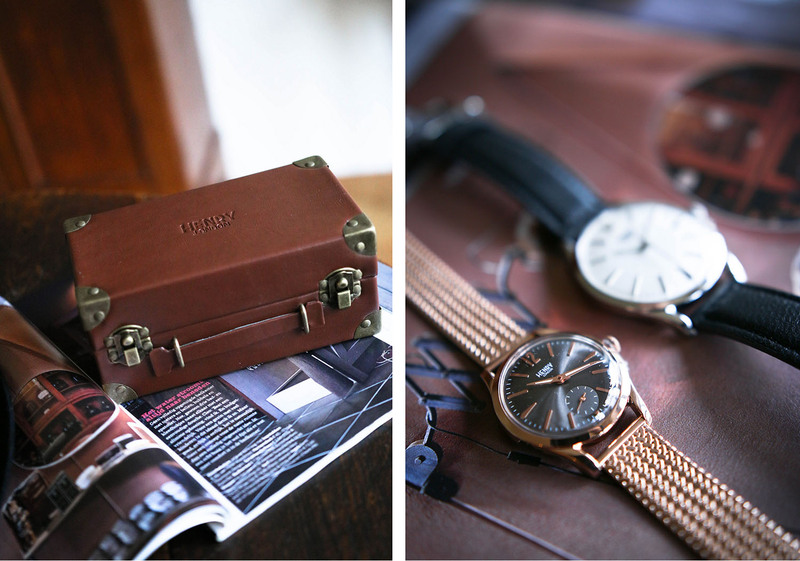 The watches you see is one for my dad; the grey Edgware with a 39mm case and the Fincley 30mm case. 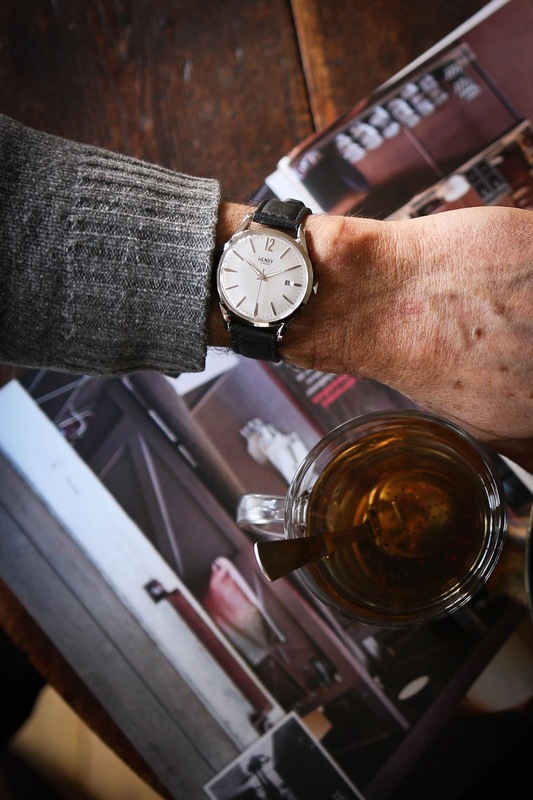 You probably know you see a lot of brands lately that offers timeless watches, so what makes Henry Londen so special? 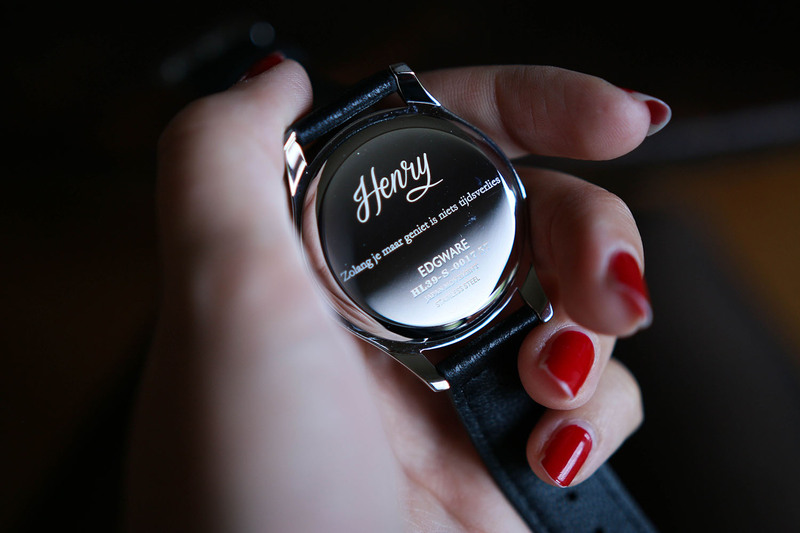 The watches by Henry Londen you can personalize with your own text. This makes your gift (or a present to yourself) something that stays special for the rest of your life. Love it! In the picture above, you see the text that's engraved on the watch of my dad. It's a Dutch expression that says; if you enjoy the moment nothing is a waste of time. I think this fits really to my parents because they're always busy and keeping the time in mind. 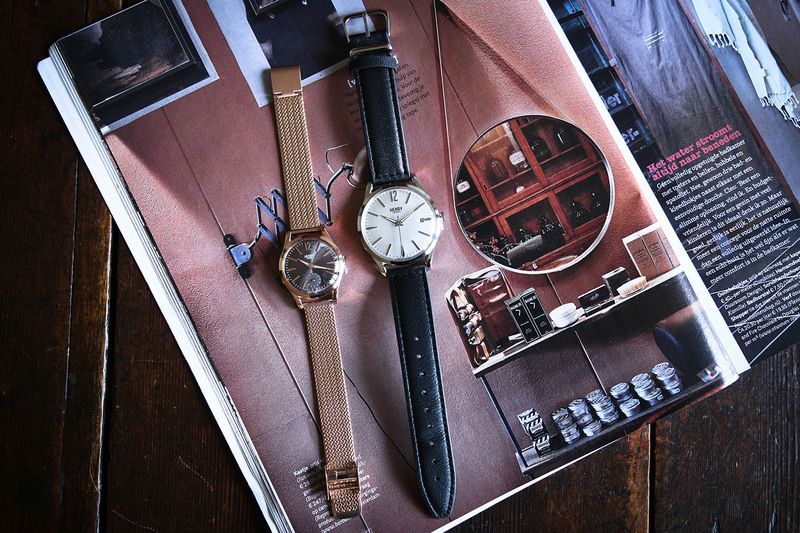 Like you can see both watches are elegant and timeless, and they will definitely fit to every age and outfit. Especially with the upcoming holidays this brand is something to keep in mind if your searching for a original present for your loved ones. A great quality piece that's besides looking good; payable and most important personal. Oh wauw, wat een prachtige klassieke en stijlvolle horloges! Ik kende het merk nog niet eerder maar ga het zeker even in de gaten houden..
wauw, ik hou van zulk soort classieke horloges!